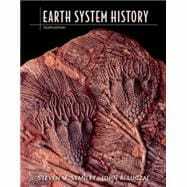 by Stanley, Steven M.; Luczaj, John A.
Steven Stanley's classic textbook, now coauthored with John Luczaj, remains the only book for the historical geology course written from a truly integrated earth systems perspective. The thoroughly updated new edition includes important new coverage on mass extinctions, climate change, and Proterozoic history, plus a range of interactive studying and teaching tools. Dr. Steven M. Stanley is the recipient of the 2013 Geological Society of America (GSA) Penrose Medal, the Society’s highest honor. This medal, which is awarded for eminent research in pure geology, was presented at the GSA 125th Annual Meeting & Exposition. Steven M. Stanley is a research professor in Paleobiology at the University of Hawaii. His research includes such areas as functional morphology; macroevolution; effects of changing seawater chemistry on biomineralization, reef growth, and lime sediment production; and the role of climate change in mass extinctions. He received an A.B from Princeton University in 1963 and a Ph.D. from Yale University in 1968. Before moving to the University of Hawaii he was on the faculty of the University of Rochester for two years and the faculty of Johns Hopkins University for thirty-six years. Dr. Stanley has written three previous editions of Earth System History and a total of three editions of its predecessors, Earth and Life Through Time and Exploring Earth and Life Through Time. His other books include Principles of Paleontology (with David M. Raup), Macroevolution: Pattern and Process, The New Evolutionary Timetable, Extinction (nominated for an American Book Award), and Children of the Ice Age: How a Global Catastrophe Allowed Humans to Evolve. He has been elected to the National Academy of Sciences and the American Academy of Arts and Sciences and has received a Guggenheim Fellowship and numerous awards, including the Paleontological Society Medal, the James H. Shea Award of the National Association of Geoscience Teachers (for books authored), the Mary Clark Thompson Medal of the National Academy of Sciences, the Twenhofel Medal of the Society of the Society for Sedimentary Geology, and the Penrose Medal of the Geological Society of America. Dr. Stanley has taught courses in Earth History, Paleontology, Paleoecology, Macroevolution, Marine Ecology, Biodiversity, and Darwin and Darwinism.